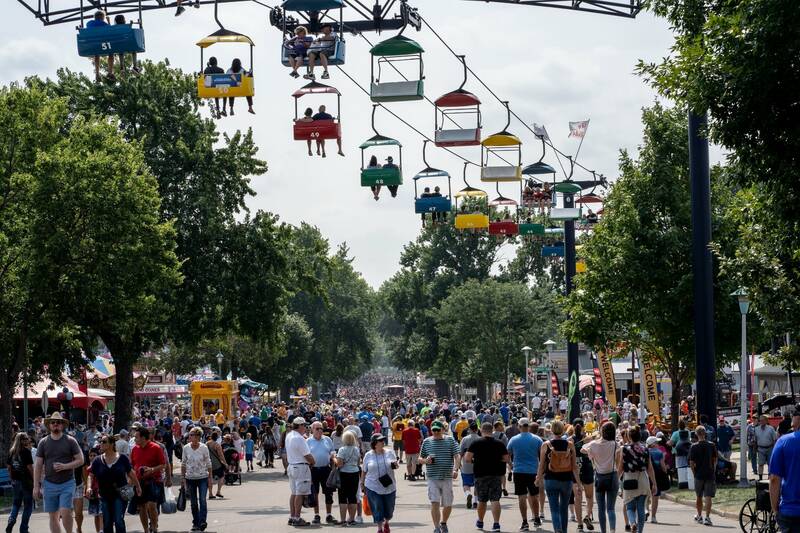 The Minnesota State Fair has set a new all-time daily attendance record. Fair officials announced Sunday that 270,426 people passed through the gates on Saturday, beating the previous single-day attendance record — set in 2016 — by 10,000 people. 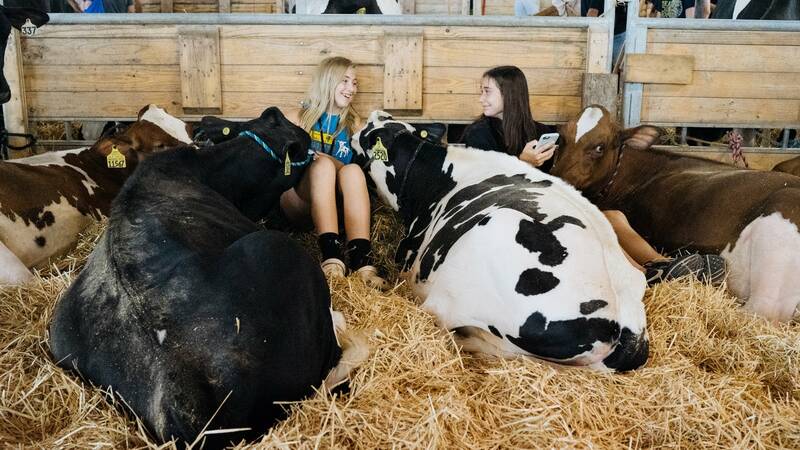 Fair spokeswoman Danielle Dullinger said this year's fair has broken attendance records for five of the 10 days for which attendance numbers are available, and is on track to set an overall attendance record for the 12-day run. Dullinger said it's impossible to know exactly what leads to a record-breaking day, but offering new attractions and foods every year helps keep the crowds growing. "I think people ... not only come for the tradition but they come for those new things, and it's really something we try to balance," she said. "It's having things that your grandparents did, but yet still really changing with Minnesota." The last Saturday and Sunday of the fair are typically the event's busiest days. Dullinger said several rounds of rain throughout this year's fair didn't seem to bother people as much as it has in the past. "People are out here with their ponchos and their umbrellas, and they're going into buildings and seeing the exhibits in there because things in there are just as exciting," she said. "You can still buy your Pronto Pups, you can still buy your cookies — you might just be doing it in ponchos." The fair wraps up on Labor Day. Dullinger said the overall attendance numbers should be calculated on Tuesday. The current record attendance for an entire fair is 1,997,320, set last year. This year's fair attendance was running ahead of last year's pace as of Saturday.